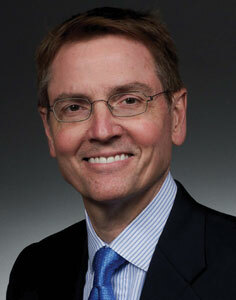 Jim Gray has served as mayor of Lexington since 2011. Prior to taking office, he was CEO of Gray Construction, a nationally ranked engineering, design and construction company headquartered in Lexington. He also served as vice mayor of the city from 2006-2010. As mayor, Gray’s goal has been to bring a business approach to city government through strong financial and operational management systems and by making strategic investments in planning and development initiatives. He has received national attention for his partnership with Louisville Mayor Greg Fischer and the Brookings Institution to develop a world-class advanced manufacturing and technology super-region in Central Kentucky. Gray also has led the charge to build an arts and cultural district in downtown Lexington with a reinvented Rupp Arena as the centerpiece. A native of Glasgow, Ky., Gray is a graduate of Vanderbilt University and in 1996 was appointed a Loeb Fellow at Harvard University. Mark Green: Lexington landed the operations center for the Boston-based law firm Bingham McCutcheon, which will bring 250 high-paying jobs. How well did the recruiting process go? Jim Gray: This project confirms again that Lexington sells itself. When we are able to get up to bat, we are able to illustrate what a remarkable place Lexington is: great people, great quality of life, great educational institutions. All of this makes Lexington a very compelling and competitive place. Bingham COO Tracy Whitley said it best: “I describe Lexington’s competitive advantage in one word: optimism. That’s what really made the difference.” In this project, our community really crowded the winner’s circle; there was lots of involvement, a lot of teamwork, and that is really encouraging. This is a transformative project for Bingham and an inventive and innovative model for the legal services industry. Bingham is a Top 25 law firm known for innovation, and this shared services operations center is new to the legal industry and is beginning to translate into other service-sector industries. 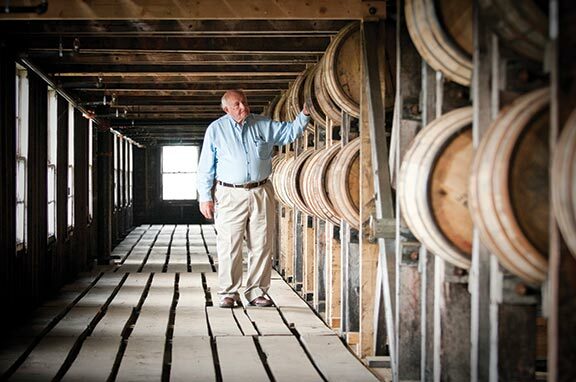 We can learn a lot from Bingham firsthand right here in Lexington. MG: What difference have you experienced moving from the private sector to becoming a top executive in a political organization? JG: I’ve always loved business: the competition, and encouraging and growing people. A role like this requires all of those skills and more. It has a 360-degree constituency. Even on a bad day it’s a great job. The opportunities to engage in creative thinking and implement change are broad and challenging but inspiring and stimulating. I like to think of it as continuous improvement: waking up every day thinking, how are we going to improve today what we did yesterday? That really applies to government. Sometimes government can seem slow and stodgy but this role is as fast a pace as anything I’ve ever done, almost exponentially. MG: You have expressed excitement about the 21c Museum Hotel project announced for downtown Lexington. Why is this project of significance? JG: 21c is a destination; it’s not just a hotel. It’s a contemporary art museum that we don’t have today in Lexington, and a project that restores a 100-year-old landmark – the old Fayette National Bank building, which was designed by McKim, Mead & White, at the turn of the 20th century a leading architectural firm in the world based in New York. We announced the 21c project 100 years to the month after the original project in April 1912. 21c has become a phenomena in the hotel and art world and is opening locations in Cincinnati, and in Bentonville, Ark., through a new partnership with the Walton family (Walmart), as a companion piece to Alice Walton’s Crystal Bridge Museum of American Art in Bentonville. It’s a distinction for Lexington to have been selected by 21c. 21c creates 150 career-generating jobs. Because of where 21c is in its business cycle, people with 21c today have real opportunities to grow in the hospitality industry. MG: Lexmark, which has its world headquarters in Lexington and ranks 557th in the Fortune 1000, will phase out its inkjet printer division and lay off 500 local workers. 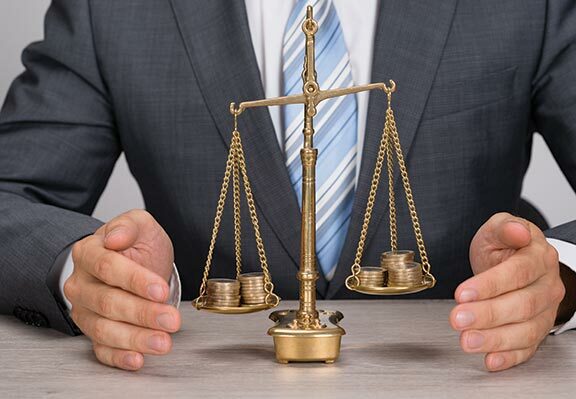 Is there a significant financial impact on local government? JG: Lexmark’s decision affected many of its employees – our citizens. Our hearts go out to them, and we want to help them. That’s what we are seeing many do in the community, including the Another Path project that Kris Kimel (president, Kentucky Science and Technology Corp.) initiated to reach out to displaced engineers and technical professionals at Lexmark to see how we can help these folks find good jobs here in Lexington. Randall Stevens (technology entrepreneur) is working with Kimel and Lexmark on it. It’s a good model and shows how much we care about retaining talent in the community. Lexmark’s decision also reflects the challenge of the technology company in a very dynamic global economy where competition is intense and aggressive. We are encouraged Lexmark has made a commitment to Lexington as its headquarters and are doing all we can to help and support them. In terms of financial impact to the city, while it’s not insignificant – $1 million on a roughly $300 million general fund – it’s a number we can manage through. But it illustrates why we must be intentional and intense about business development and recruiting efforts. We can never predict changes in a global economy. MG: The Consent Decree settling EPA’s lawsuit against Lexington-Fayette County for violation of the Clean Water Act will require investing about $500 million the next 10 to 12 years into the sanitary and stormwater sewer systems. How will Lexington fund this expense? JG: The journey is the safest when the roadmap is the clearest. Since I’ve been in the construction business and the engineering business all my life, I know a good plan is essential and that is what we are putting together. In our government, the Water Quality Division leads this project. Division Director Charlie Martin is an extraordinarily competent professional, and his leadership is pivotal. He has some good engineering consultants working with him developing the plan. Now the plan must be executed: the engineering, the construction. We have yet to determine the full cost estimate, and that’s where we need to be very focused. We need to be asking a lot of questions of the engineers. We need to be challenging cost. In the engineering/construction industry it’s called value engineering, ensuring we get the most value for every dollar we invest. The funding will be provided by sanitary sewer fees that are being collected (from city ratepayers). The full amount of the fee will be a function of the final estimated cost of the consent decree project, which we are looking for in the next six months. MG: Lexington has a large actuarially accrued liability for its police and fire department’s future pension and retirement benefits. One estimate is about $500 million, including bond debt and future healthcare. What options are you advising the Urban County Council to pursue? JG: Like many cities across the country, we have a big problem with our pensions; it’s a thorny issue no one welcomes dealing with. But there is a growing recognition that the current model is financially unsustainable. Lexington has begun to address it; we contributed more than $130 million in the last few years through bonded contributions to the police and fire pension fund. But the unfunded liability continues to grow, so it continues to confirm, despite what we are investing, that the current model is unsustainable. That is why I created a task force; we are recommending bringing in the best consultants we can to help us through this. We want to meet the commitments made to our public safety employees and retirees, and we want to reinforce the system so that it is sustainable and competitive. I never imagined a tough issue like this would be solved overnight, and we shouldn’t expect that. Persistence and determination and an optimistic spirit is essential in problems like this that sometimes seem intractable. We have to be disillusionment-proof and optimistic that we can solve our problems. MG: Pension and healthcare benefits were increased by past state legislative action, can those obligations be reduced or modified by legislative action? JG: Lexington is the only city in the state whose fire and police pension the legislature has jurisdiction over. We are asking the legislature to help us. They are looking at helping us to solve our problems just like they looking at solving the state’s (accrued pension liability) problem. Lexington’s full compensation system is considered to be very competitive and that’s healthy and good for the city. We want it to be competitive. We also want the pension to be one that is financially sustainable, healthy. That’s the objective. MG: Is bankruptcy a possibility? JG: I learned in business a long time ago what insolvency is like. I went through it. No crystal ball is going to predict when, but the numbers for Lexington and other U.S. cities are not in a favorable trend line. Any responsible management is going to work to adjust and avoid financial crisis. 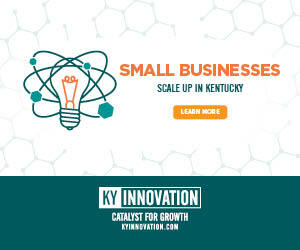 Lexington is approaching service-level insolvency with almost $900 million in accumulated routine capital investments. The city is struggling to make investments in the parks system, neighborhoods, streets and roads that will allow the quality of life in the city to remain competitive. That is all to say, we have plenty of challenges and plenty of “opportunities.” In any good problem-solving model, you work on your problems and seize your opportunities. MG: You initiated an effort to renovate 37-year-old Rupp Arena, a national college basketball icon. Can you describe some of the changes that have been proposed? JG: This is all about thinking aspirationally about Lexington as a great American city and leveraging the UK basketball and Rupp Arena brand into a more robust icon, and creating an arts and entertainment district. This could possibly include resurrection of the Town Branch, the original water source around which the city was settled in 1775. It was buried in a cholera epidemic of the late 19th century. Visitors to Lexington have to search for Rupp Arena if they are not familiar with its location. The building is concealed behind the convention center. In a moderately sized downtown, Rupp is an iconic piece of architecture. The city in many respects revolves around it; that’s why it was originally called the Civic Center. This is an almost 40-year-old building. In the building business that’s a lifetime for a building. The conceptual images architect Gary Bates developed reveal the arena and make it a part of the fabric of the urban space and reconnect it. A big part of the project is developing today’s 23 acres of surface parking lots. The Rupp task force visited Columbus (Ohio) and Indianapolis and Madison Square Garden. Mayor (Michael) Coleman of Columbus said, “Surface parking lots are evil to a city.” They can be intimidating, scary, especially at night. Creating a more vibrant, engaged cityscape, buildings, public spaces and park area in that 23 acres is a real opportunity for the city. MG: Initial cost estimates have been reported in the range of $230 million. How might such a project be financed? JG: $230 million to $300 million are the numbers. The Lexington Center Corp. has issued RFPs (request for proposal) from firms that specialize in developing business models for sports arenas and convention centers. 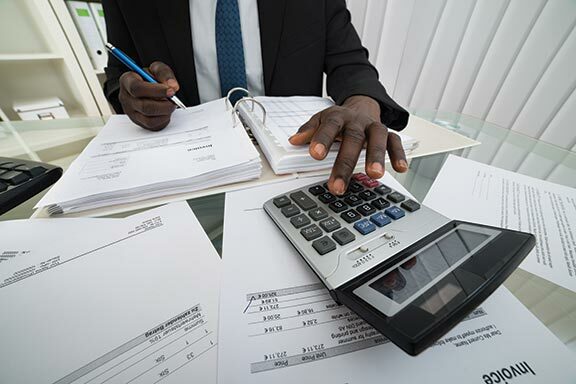 First things first, we work with those who are experts in the field to develop revenue models. The initial concept identified as many as 14 revenue streams. This is all about examining the current model and determining how to make it more robust. Are we doing all we can with brands? Lexington’s, UK basketball’s and the convention center’s brands. There is no one answer. By hiring those who best know this business, we expect to find the answers. MG: Local government revenues across Kentucky and the nation have declined or been static for the past three years. What is Lexington’s current general fund revenue estimate and income projections? JG: This year the general fund budget is $289 million. A modest uptick in revenue is projected this year, but as anyone in any business knows, today’s economy is not highly predictable. We hope these good indicators will continue. Our unemployment is the lowest in the state, but it is still double what it was five years ago. We still have people who need jobs and people looking for better jobs, so having a relentless focus on creating an environment for good jobs is essential. Our general fund is dependent on occupational tax – payroll tax – so good jobs are essential for the city’s growth and prosperity in terms of delivering government services. MG: The Bluegrass Economic Advancement Movement (BEAM) project goal is to create a unified Lexington-Louisville advanced manufacturing super-region. If it succeeds, it will be over the long-term. What do you expect and hope to see in the short term? JG: (Louisville Mayor) Greg Fischer and I have known each other for some time, and we were both elected at the same time. We both come from businesses where problem solving and process is a big part of the management dynamic, so we tend to think alike and can finish each other’s sentences. The real benefit of BEAM is recognizing that Lexington and Louisville are not competitors. We’ve learned we can collaborate and share best practices, share performance matrix, share initiatives. Comparing notes on how to deal with a today’s problems is a big part of the benefit of this relationship. Don’t expect a corridor of new buildings between Lexington and Louisville; that’s not the objective. The objective is how do we work together to leverage the assets and strengths of both regions. A benefit of this has been revealing simple numbers like 100,000 people are employed between the two regions in the manufacturing sector, which puts us at the top in terms of the country’s advanced manufacturing regions. When you measure it, you manage it – that’s a long-time business expression; it applies to cities as well. MG: Toyota’s largest North American facility is just north of Lexington. What is its impact on the city and region? JG: I was project manager on part of the construction when Toyota first moved here. They consider themselves to be a part of Lexington, and Toyota has an enormous influence. At this 25th anniversary time, arguably the biggest influence Toyota has had is in translating its true lean business model to other companies and institutions. One of my goals is to translate its creative problem-solving system into city government; it’s extraordinarily effective. I saw in my own business career how transformative it is and what a competitive advantage it provides. The first Toyota retirees are beginning to help us in the city as mentors and teachers. My aspiration is that Lexington will be the first municipal government in the U.S. to adopt true lean process. The Center for Sustainable Manufacturing at UK has incorporated the Toyota system and it’s a real asset. It’s utilizing both current and retired Toyota employees to teach others to share the systems. They have expressed a willingness to help us, and I’m embracing that with open arms. MG: Louisville is sometimes referred to as the economic engine of Kentucky. What is Lexington’s role in the state’s economy? JG: Actually I hear Lexington referred to that way (laughs). I also hear Lexington referred to as the place everyone in Kentucky wants to live. The cities have distinctive characters, histories and cultures. Lexington has a more agrarian history. We didn’t grow a manufacturing base until the mid-’50s and ’60s. Lexington has one of the top 10 educated populations in the country, a very robust university community with the University of Kentucky, Transylvania and BCTC. Richard Florida, author of “The Rise of the Creative Class,” says you hear a lot about Austin (Texas) and Boulder (Colo.), but don’t forget university towns like Madison (Wis.,), Ann Arbor (Mich.) and Lexington. Lexington has some competitive advantages as a result of decisions to preserve rural landscape, create the urban services boundary and to build on our educational assets. We still have people who need jobs, and growing traditional middle class jobs is still important for us. But when you take all this together, Lexington has a very competitive sweet spot right now and is the envy of many across the country.